Shonn Brown is a highly respected trial lawyer and bar and civic leader, who counsels and advocates for businesses and individual clients engaged in complex legal disputes. Shonn has earned a stellar reputation among her professional peers, members of the judiciary and clients. A strong believer in the right to a jury trial, Shonn thrives on the opportunity to vigorously advocate for her clients throughout all phases of a dispute, particularly in trial. Shonn is a strategic problem solver who excels when the stakes are high, achieving solid results for her clients, efficiently, and when needed, aggressively. Shonn has experience in an array of industries including private equity, construction, professional services, real estate, direct sales, banking and financial services and manufacturing, among others. She has expertise in dealing with trade secrets, fraud, breaches of fiduciary duty, employment, board governance, products liability, personal injury and contracts. 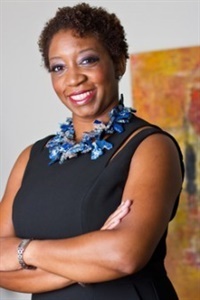 In addition to her civil trial experience, Shonn has first-hand knowledge of the criminal courts from serving as a “Lawyer on Loan” to the Dallas County District Attorney’s Office, where she tried numerous cases to verdict. Clients particularly like and respect Shonn’s frank demeanor, responsiveness and practical business-minded approach to handling matters. Her experience as counsel to both plaintiffs and defendants, as well as with arbitration proceedings provides her with complete perspective and the ability to anticipate her opponent’s strategies and tactics, eliminating unnecessary battles and allowing her to focus on the issues that truly matter.